The aim of assisted reproduction is not to manipulate nature but to optimize couple’s natural ability to conceive with a doctor’s assistance. Prof. MUDr. Ladislav Pilka, DrSc. Welcome to The Clinic of Reproductive Medicine and Gynecology Zlin. Since 2001 The Clinic distinguish itself as a private Medical facility which offers a comprehensive range of diagnostic, therapeutic and preventive care in the field of gynecology as well as infertility treatment. 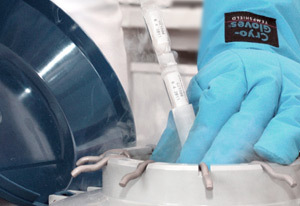 We are using all techniques of assisted reproduction available. In a pleasant and personal environment we will provide you with medical care of a very high standard whilst using the latest scientific findings, treatment methods and high-tech equipment. We will be happy to become your guide on the journey towards your desired child. You will be cared for by a specialist team who will help you to overcome initial discomfort, apprehension and insecurity with their holistic and discrete approach. A maximum effort will be expended for the success of your treatment. The 5th Sexological-Andrological International Congress will take place on the 5th and 6th of April 2019 in Prague where the director of the Clinic of Reproductive Medicine, Zlín, MUDr. David Rumpik Ph.D will present a seminar. CT1 broadcasted a report on Feb. 10th about infertility issues. 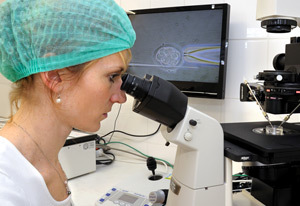 Last year doctors in the Czech Republic performed 39 thousand IVF cycles, which is the most in the country´s history. The director of IVF clinic in Zlín, Dr. If you´re a smoker - even social one - quit.